Can Librium Help with Withdrawal of Opiate? Physical – increased lacrimation and rhinorrhea accompanied by pupil dilation. Rhinorrhea is soon followed by muscle and stomachaches. Pain intensity gradually increases. The patient experiences muscle twitches, including random kicking movements, cold flashes, including chilly and “goose” flesh. Stomach upset presents in nausea, vomiting, diarrhea. Psychological – apathy grows into depression; emotional swings, anger and aggression and insomnia are involved. A few days later anxiety co-occurs with fear, and sometimes, with hallucinations. In such condition a patient can go to any lengths to get a dose of their drug. The psychophysiological symptoms of opiate withdrawal usually peak 4 to 5 days, sometimes longer, before the physical side effects gradually subside and go away on 14-21 day. The psychological symptoms tend to ebb and flow and usually last much longer – this is how drug addiction shows itself. Librium is a benzodiazepine class medication used to treat anxiety and stress, insomnia, muscle stiffness and other withdrawal symptoms. Its chemical formula affects reticular formation structure and non-specific thalamic nuclei. 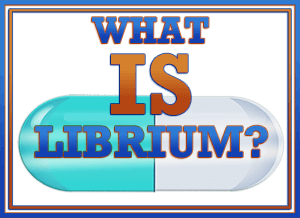 Librium is a prescription sedative drug with anxiolytic properties and it should be paired with medications of other classes for more effective treatment. Librium treatment depends on an individual. It must be borne in mind that some medications and their combinations can be helpful for some but have completely opposite effects on others. Medical consultation and care are therefore compulsory. Librium can increase appetite, reduce nausea and diarrhea. The medicine is one of the most powerful benzodiazepines used for opiate withdrawal treatment. However, it doesn’t work for everybody. If it seems not to be effective, it should be replaced. 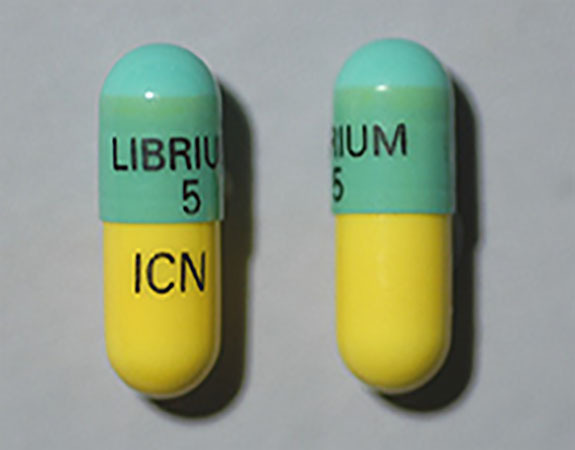 Being a psychoactive drug, Librium should be used in the short-term. Otherwise it can cause withdrawal syndrome and, if taken too much, it can cause overdosing. 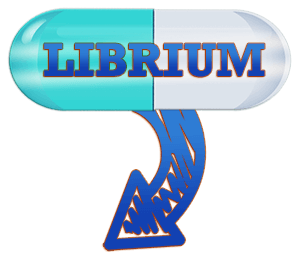 Librium is available as capsules. You should make sure you have enough capsules for your treatment course. A recommended dosage for the first day of treatment is 25 mg, 3-4 times a day. If no side effects occur, on the second day a dosage can be increased by 200-400 mg a day. However, it’s not recommended to increase a dosage without need. It should be kept in mind that high medicine concentration in blood increases risk of complications. Librium treatment should be withdrawn gradually or suddenly 3-5 days after start of the treatment. The medicine should be divided into equal doses and taken between a reasonably equal amount of time. There are instances when depression and other opiate withdrawal symptoms can worsen. different types of allergic reactions. When any of the above-mentioned symptoms appear, it is a sign that you should ask for medical advice. Your doctor will probably ask you to cut down on or discontinue the medication. Librium overdose leads to unconsciousness, somnolence and coma. If an individual experiences any overdose symptoms, they must be immediately hospitalized. Adequate evaluation of Librium indications and contraindications helps achieve good results in opiate withdrawal treatment.